The way consumers communicate and shop is shifting rapidly and disruptive competition can come from anywhere. At the same time the exponential growth of technology innovation and resulting digitization of the entire business landscape, further boosts the pressure on Retail & Consumer Goods industries. As a result, organisations need to step up their game and innovate by constantly refreshing their ideas, keep their concepts relevant for tomorrow and be truly Digital. Artificial Intelligence, Machine learning, Robotics, Virtual & Augmented Reality and the Internet of Things are key elements of the exponential change we are experiencing. The rapid proliferation of these technologies creates unprecedented challenges in the years to come. At the same time, they also provide excellent opportunities for those organisations that can harness the impact of these changes most effectively and rapidly. Hedsor Consulting was established to work in this area specifically and help organisations and their executives navigate the journey to Digital Excellence successfully. Change is speeding up exponentially in today’s business life. Those who master the organisational capability to embrace change and drive advantages from it, are the winners, both today and tomorrow. This requires a new and different mindset, culture and certainly what we would call ’Digital Agility’: The ability for an organization to act and adopt quickly to changes in this new Digital World. It is no longer enough to do things Digitally, but it is essential for organisations to Be Digital. We think that organisations already pose many advantages and capabilities that are essential for this journey. Building and sustaining a winning capability however, requires organisations to reset their intuition and reimagine their businesses, while at the same time develop a well-structured approach to continuous Digital Transformation and Innovation. Technology alone is certainly not the answer, in all its facets it is however an extremely powerful resource to help build and sustain this differentiated Innovation and Digital Transformation capability. Hedsor Consulting is an independent consulting service organization providing Business Innovation & Transformation services. We have deep International expertise and experience in Strategy Consulting, Sales, Marketing and Digital Transformation for Fortune 500 companies in Retail, FMCG and other B2C Industries. 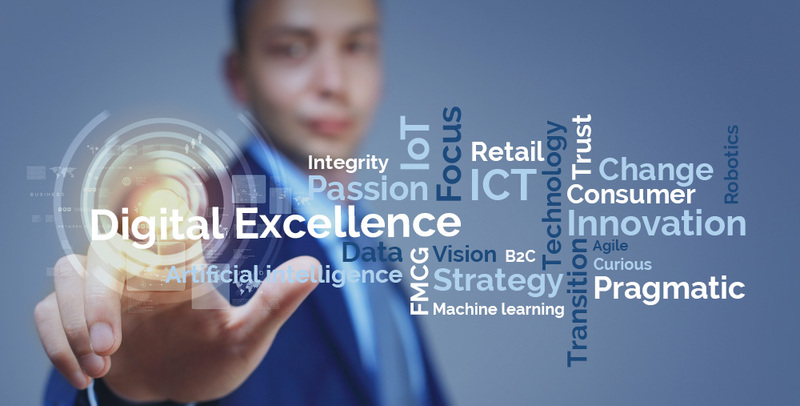 We work with our clients to identify, build and align the differentiating capabilities they need to outperform in Innovation and Digital Excellence. From Strategy Advisory to Strategy Execution. From capturing value from Advanced Analytics, Robotics and the Internet of Things to driving real benefits from new Unified Commerce business models and Digitization scenarios. We work closely with some of the world’s leading companies to create and deliver the differentiating advantages they need to thrive in this rapidly changing world. We have been involved in our clients’ most important business activities and bring deep business, digital technology and industry expertise. Above all, we bring a Focused, Pragmatic and Efficient approach to deliver real impact.